Sunday 11 December is International Mountain Day. It sounds like an invitation to go and climb a mountain - and that’s what I’ll probably do, some modest little top in the English Lake District will have to suffice. Maybe there’ll be snow. But it would be missing the point to think that this UN-designated special day is primarily about climbing. How self-absorbed can you get? No, as of 2003, the 11th of December has been observed every year “to create awareness about the importance of mountains to life, to highlight the opportunities and constraints in mountain development and to build alliances that will bring positive change to mountain peoples and environments around the world”. Those are the UN’s words. No mention of climbing or alpinism, though it is clear from the excellent International Mountain Day website produced by the UN Food and Agriculture Organisation that events and activities in mountain areas play an important in raising awareness. Many are planned around the world for Sunday. But awareness of what? That mountains cover 22 percent of the earth’s land surface; are home to 13 percent of the world’s population - people with unique local knowledge and cultures; house 56 percent of all biosphere reserves; and attract between 15 and 20 percent of global tourism. The last is where we mountaineers fit in, a tiny blip of a number within those many, many millions of tourists. And yes, we are tourists. Mountaineers have to get over the hang-up that they are somehow not tourists, superior in some obtuse way. Perhaps not when climbing in our own metaphorical backyards, but as soon as we travel to faraway ranges we’re tourists by any reasonable definition of the word. In many areas mountaineers were actually the first tourists, pioneers blazing a trail to the Alps, Everest base camp or Yosemite since followed by countless trekkers and visitors of all kinds. Thus we bear a heavier responsibility than most. But while we’re tarred as part of the problem we can also try to be part of the solution. But hope springs eternal. Two months ago the UIAA’s US$ 5,000 Mountain Protection Award was won by the activists of Mountain Wilderness France for their initiative in clearing old pylons and cables of obsolete ski facilities from the French Alps along with barbed wire and other detritus of war. Assessed by the MPC, the 2016 Award showcased 23 projects from 19 countries, ranging from a biogas scheme to deal with waste from Everest base camp and a clean-up on the Baltoro glacier in Pakistan to environmental “learning expeditions” in the Andes. Also several mountain areas across Europe were left a little greener as a result of the UIAA’s Respect the Mountains series, partnered by Keen. Nine events took place in eight countries, with 614 volunteers collecting five tonnes of garbage from 3000km of trails. The series is as much about eduction and spreading the word as it is about litter picking, and as with so much of the good work going on, unnoticed by most, in the mountains it is often small-scale and incremental, like planting trees on a denuded hillside, it takes years before a landscape is restored. Then there’s the contribution climbers and trekkers make by simply getting out there (and leaving no trace of course). 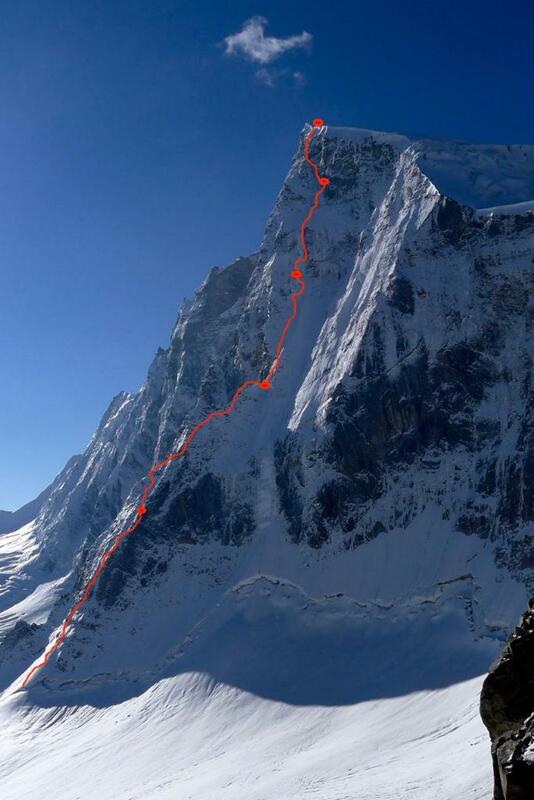 Whether it’s Alpine Club duo Mick Fowler and Victor Saunders making the first ascent of the North Buttress (ED 1100m) of Sersank Peak (6050m) in the Indian Himalaya in October or a crocodile of trekkers heading up the Khumbu valley there should be benefits to the local economy. OK, a flight to Nepal leaves a guilt-inducing hefty carbon footprint, but weigh that against the crying need of hill villages for tourist dollars to help rebuild after the devastating 2015 earthquake. So there’s plenty to ponder and to celebrate on International Mountain Day. And if you’re actually going to be doing so on a mountain, perhaps there’s a good omen in its coincidence with another notable date. Sunday is also Pengembang one of the Balinese special Sundays sacred to the sun god Surya. May he shine on you!